Generation V reactors will produce great amounts of energy by fusion of deuterium and tritium into helium. 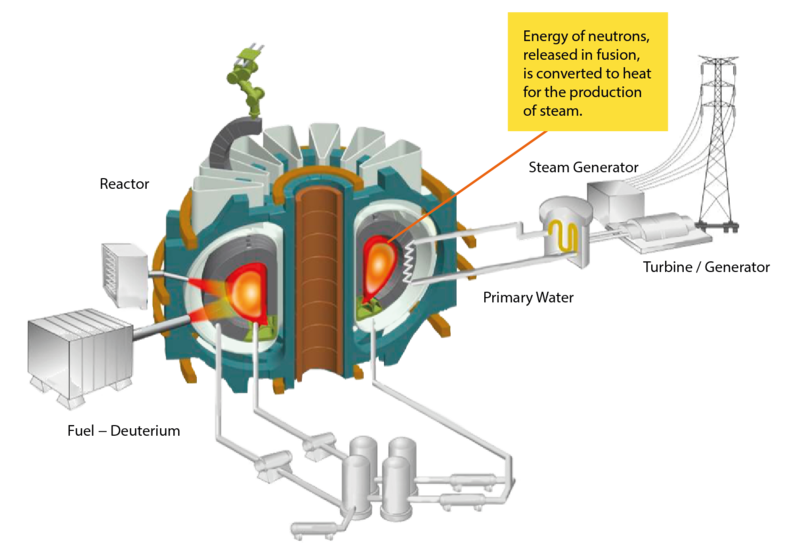 Fusion power plants will be based on the experience from experimental fusion reactors. Operation is expected in 40 years. Fuel consumption of a 1000 MW fusion power plant will be 100 kg of deuterium and 3 tons of lithium per year.